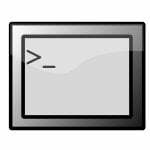 # Shell script utility to read a file line line. You can try this simple code to read the file “file.txt” line-by-ine…. # Temporary use by Boyajian. Thank you. Hi Very informative post. Thanks for this. what following code is doing. Please healp. I need to read a file and see for the occurence /local/svncheckout/* at the begining of each line. If this instance is found I need to delete that particular line. I edited the code to input the contents of $line when ever the loop runs. it inputs line by line in a file that contains a list of id’s I pulled out of etc/passwd. for some reason it’s stops at the 25th line. it starts combining the variables to I dont’ know what’s going on. how it could work for the first 25 entries then break. I have used your example countless time when i wanted to write a quick hack. Thank You!